Your blueprint to increasing your small business’ online exposure. Start increasing your website traffic today using methods specifically designed to work for small business. Need some help with SEO? The competition for search engine rankings has never been higher, and for good reason. Over 90% of consumers don’t even look past the first page of search engine results! With that in mind we created this free step-by-step guide to show you how you can improve the SEO of your small business website. Why you need SEO for your small business. How search engines view and interpret your website. 15 ways you can optimize your website to rank higher in search engines. How user experience is driving the future of SEO. How site speed and mobile responsiveness are affecting your search engine rank. To get your free copy of The Ultimate Small Business SEO Guide simply fill out the form below. You will then be redirected to a page where you can view it. You will also be e-mailed a copy. As a small business owner you likely know that how your website ranks in search engines matters. Having a high ranking website means more website traffic, more brand awareness and more business. A low ranking website means less traffic, less brand awareness and more money spent on advertising. This guide is meant to give you tips on how you can make meaningful changes to your website to rank higher in search engines, focusing on simple changes that are within budget of a small business. 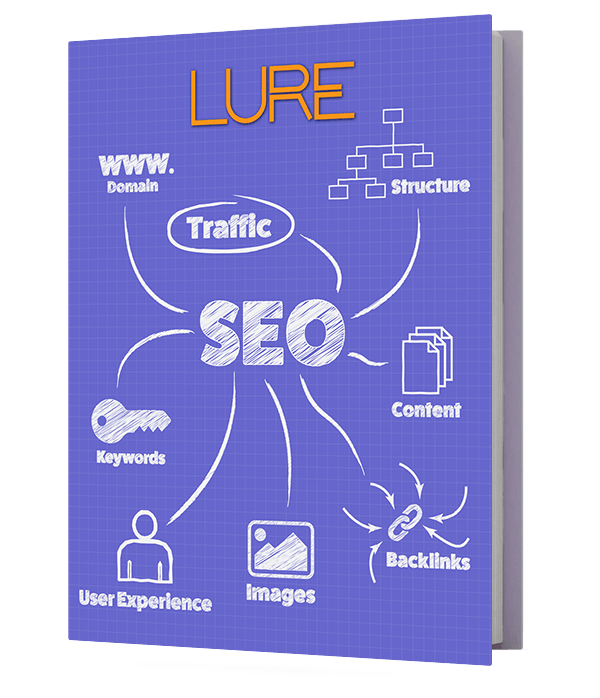 This guide should hopefully answer the basic questions you have about SEO and help you along the way to improving the search engine ranking of your website. Before we get into the nuts and bolts of improving your website let’s first get some basics out of the way. If you’re already comfortable with what SEO is and why you need it you can skip ahead by clicking here. Search engine optimization (SEO) is the process of optimizing a website to be easily understood by search engines. The better a search engine understands a website, the better it will rank in search engine results pages (SERPs). The better your website ranks in SERPs, the more consumers will see and click on your website and the more business you will generate. Most consumers nowadays look to search engines to find information on products and services they wish to purchase. In fact, a 2012 survey by Fleishman Hillard found that 89% of people use search engines to help make purchasing decisions. When those consumers are searching for information on products or services you provide you want your brand, and your message, to be there. If you’re website isn’t on the results page of their search, your business is at a big disadvantage. Just being listed in the result pages isn’t enough however. All things being equal, 1 in 3 consumers will click on the first result on an SERP. By contrast the fifth result only gets around 6% of clicks and less than 10% of consumers will even look past the first page! With such a stark difference in traffic, you need your website to at least rank on the first page of searches relevant to your core business. Traffic from search engines is so highly valued because it comes from highly targeted consumers. Traditional advertisements like billboards or radio are not targeted. Out of the thousands of consumers driving past billboards or listening to the radio only a few might be interested in what the ad is selling. Search engine traffic is different. SEO gets your website in front of consumers that are searching for what you sell, at the exact moment they are searching for it. Every consumer coming from a search engine is interested in what your business offers. Why Can’t Search Engines Figure Out My Site On Their Own? This is a common question we get and the answer is simply no. Search engines are simply giant computer programs. They are limited by what their program code tells them to do. Search engines are becoming more and more sophisticated with time, but they still need a hand. Search engines still cannot understand text, images or video the way we do. They don’t see sentences and paragraphs, they only see individual words. They don’t see pictures or videos, only file names. All search engine crawlers can do is look at the information we give them and make their best guess. Elements that are mislabeled, in the wrong format or missing can seriously affect the way that they see your website. Fill out the form to the right to instantly get your free copy of the Ultimate Small Business SEO Guide. Thanks for downloading the Ultimate Small Business SEO Guide!